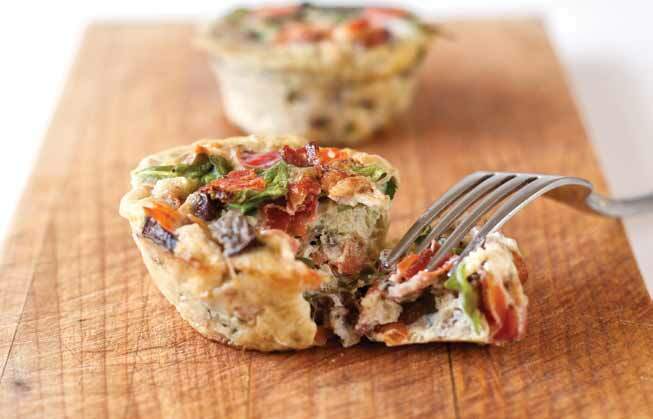 Muffin tins are perfect for the busy parent. I’ve used them as divided serving dishes to get little kids to eat meals. GeekMom Brigid used them to make her Savory Petits Fours. And I’ve relied on them for years to cut down baking time for things I should have put in the oven sooner. Doing this also results in handy single-serve portions of meat loaf or quiche or scalloped potatoes. 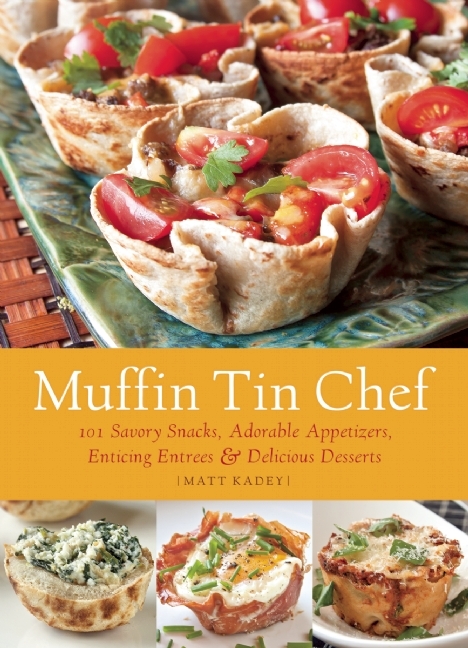 But I never envisioned the possibilities revealed in a lovely new cookbook, Muffin Tin Chef: 101 Savory Snacks, Adorable Appetizers, Enticing Entrees and Delicious Desserts. Author Matt Kadey offers recipes for every meal of the day as well as special occasions when you might have more time to fuss in the kitchen. Many are vegetarian and most are whole-food oriented, each accompanied by clear instructions. It’s particularly interesting to see how many options there are to create a “crust” for fillings I normally wouldn’t associate with little round servings that come out of muffin tins. I counted 17 different ideas. Here are a few to get you thinking. Bread, as done in “Peach-Stuffed French Toast Bowls With Vanilla Scented Yogurt.” Beans mixed with quinoa flour and seasonings, to create “Black Bean Cups With Smoky Avocado Filling.” Plus crusts made from all sorts of quick press-ins, from tortillas to prosciutto. This book is enticing to flip through. That’s not just my impression. One of my kids has been asking me to make the “Jalapeno Cheese Rolls” he saw in on page 113. I’ve already made several recipes from this book so I know it’s more than nicely laid out. And maybe best of all, kids like foods they can pick up and eat in a few bites. We all do. Even if there’s no assurance that muffin man Matt Kadey lives on Drury Lane.